Emma Ramia from Toowoomba is one of our Reno School originals. She jumped on the Reno School bus as soon as our very first intake opened and isn't getting off any time soon. Go Emma !! 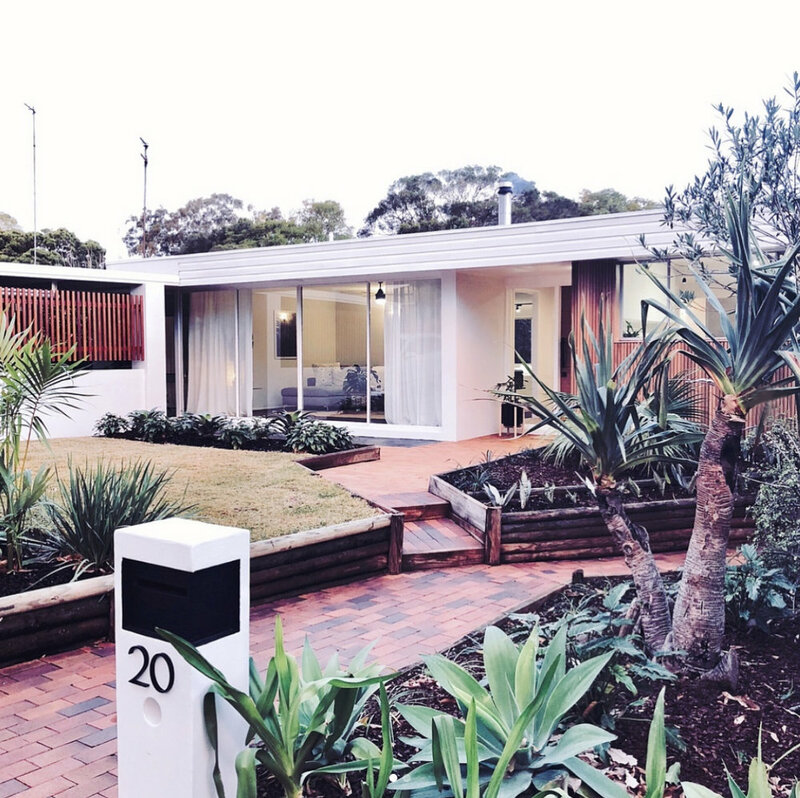 Once a hairdresser, Emma gave it up when her kids were born and turned her creative skills to renovating. She’s now flipped two houses and is planning her next project. 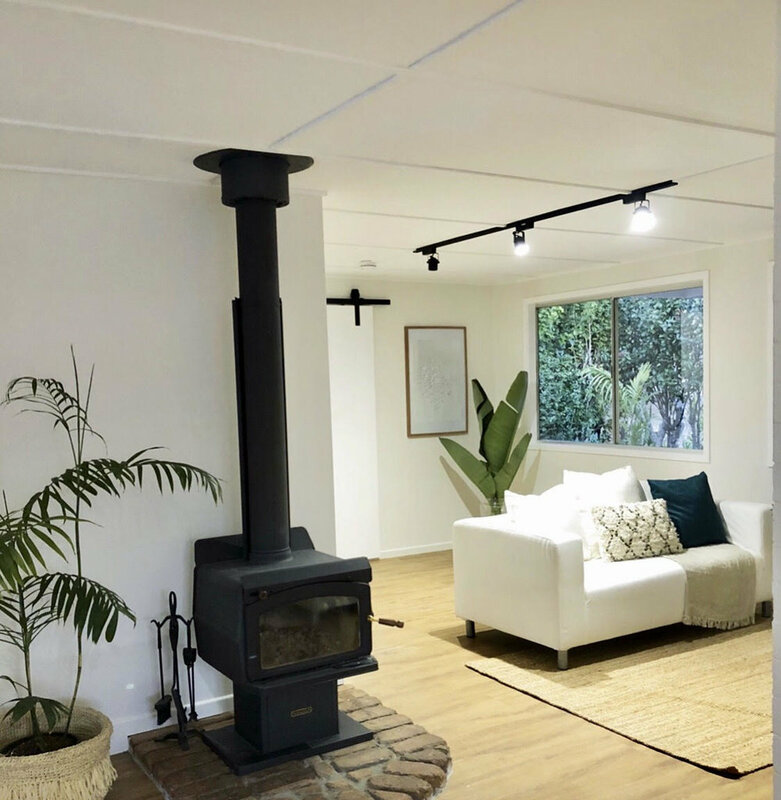 I’ve always had an interest in renovating and used to spend lots of time looking at the Three Birds website to get ideas on flipping houses. I’d collect pictures from magazines, Pinterest and Instagram as inspiration. My first renovation was a flip house that I went into without any real experience. It was your standard little ‘70s house, with lino floors, original wallpaper and plenty of asbestos for good measure. My builder helped me navigate the job and I was led by the trades a lot. Looking back, it wasn’t the most efficient way to renovate and I definitely over-capitalised! As soon as I saw the Three Birds were starting Reno School, I signed up – I bet I was the first one on the list, I was so keen to learn! After I’d completed Reno School I started my second flip house and it was a much easier process than the first. All I could think was I wish I’d done the course before I’d gone in to my first reno so fresh. The second house was a little flat roof brick house as well. My vision was to turn it into a Palm Springs style oasis aka #palmspringparadise. This time, after completing Reno School, I knew I needed to do a vision board first, which is such a great piece of advice. I got all the details together, decided finishes and textures and knew it all worked together, well before I started the reno. I also brought an estate agent through the house prior to starting. He was able to tell me what are families looking for in a house in the area and helped me plan the spend. What was your biggest learning from the Reno School? 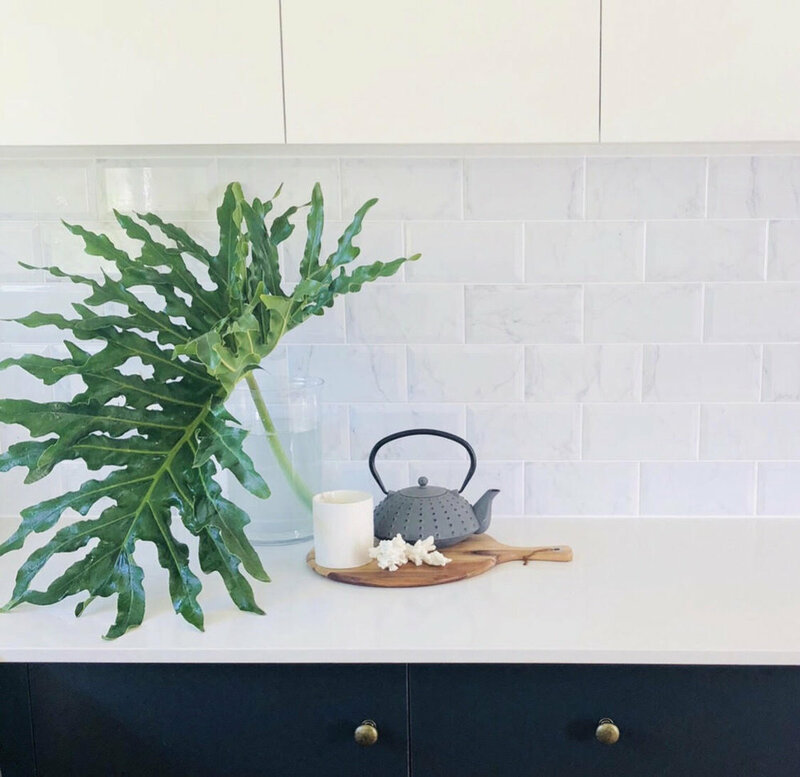 It’d have to be learning the whole process of a renovation – knowing what to expect at each stage and how to deal with trades so that the timeline doesn’t drag out. Time is money and completing the project the quickest way possible is best for the budget! I’d already found out that you can be led too much by tradies if you’re inexperienced, but Reno School gave me the confidence to speak up for myself and to tell trades what I really want. What did you like best about Reno School? I’ve been a long-time Three Birds follower, right from House One. I think they’re the masters of renovating and just love their style. But, one thing I think is worth mentioning is that the Reno School doesn’t just teach you to create one style. It helps you create a home that you and your family love. You’re not restricted to one look, it’s really about what suits you and the way you live and the way you want to feel in your home. You’re definitely not limited to a set "look". What ABOUT THE Reno School Facebook group? LOVE IT! It’s actually one of the best parts of the course. You can be standing in a lighting shop, unable to decide, post photos of a few options in the group and get everyone’s opinion on the spot. They’re all in the same boat, equally passionate about renovating and more than willing to help out. I’ve also loved the Facebook Lives with Lana, Bonnie and Erin. It’s an invaluable opportunity to chat with them and ask live questions. They’re so lovely, down to earth, and genuinely willing to help. DID YOU USE the SUPPLIER DISCOUNTS? The money I saved on the tiles alone more than paid off the course! Enough said! This year it’s our house – our forever home. We love the home, we love the location, but it needs to be more functional for our family. I’ve done my vision board, I just need to work on nailing my hashtag. It’s a great way to be able to show my architect (and my husband!) my vision for the home and to get everyone on board.